Welcome to the Finals! We have #9 Mojo’s Trailside Cafe & Coffee House facing off against #27 Bob’s Dairyland. 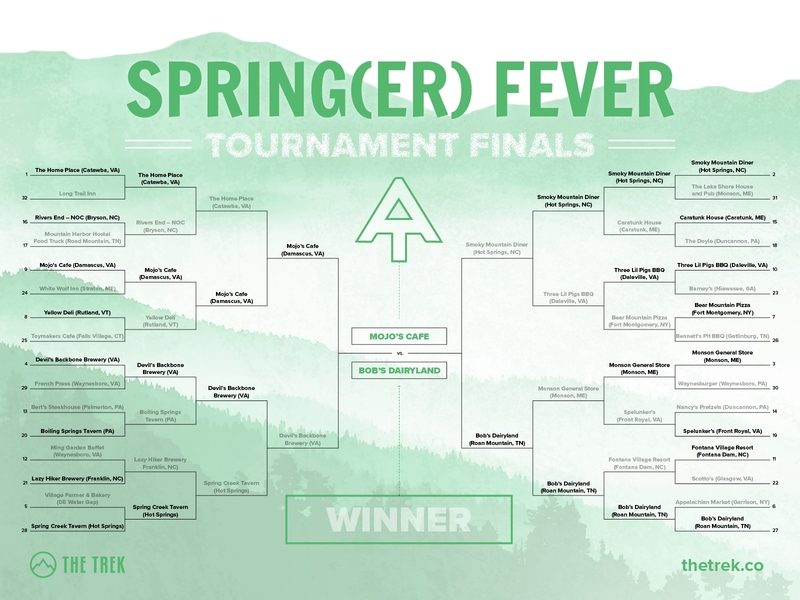 We started off with 32 of the top restaurants on the AT, and after rounds of voting, upsets, and shockers, the finals are here and we need your vote! Voting ends 4/10 midnight (PT). Champion announced Thursday 4/11. Did we miss a restaurant that should’ve made the top 32? We are doubling the field next year and expanding to 64 restaurants. Please comment if you have a favorite trail town restaurant we missed so they can be considered next year. 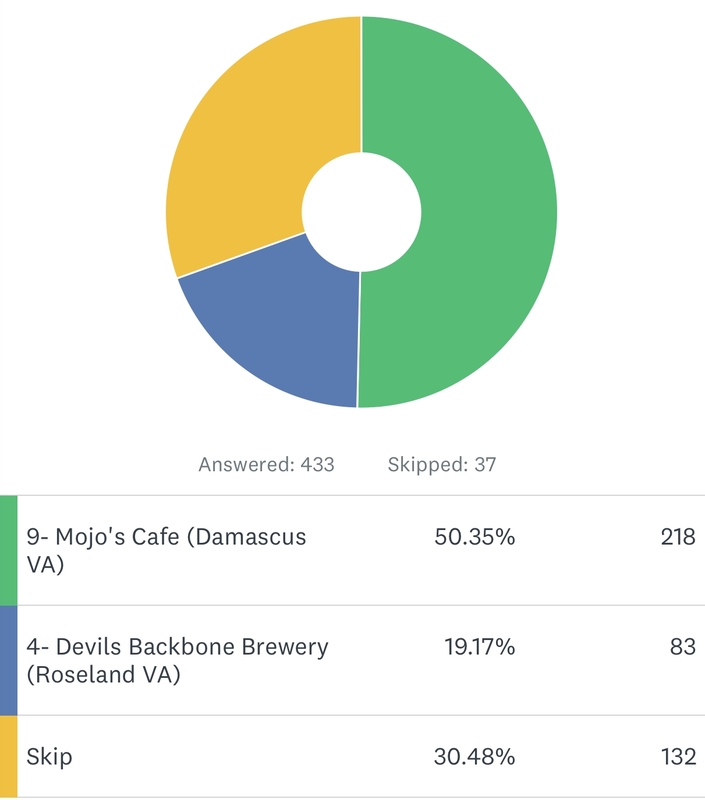 #9 Mojo’s defeats #4 Devils Backbone Brewing by nearly 3 to 1, 218 to 83 votes. 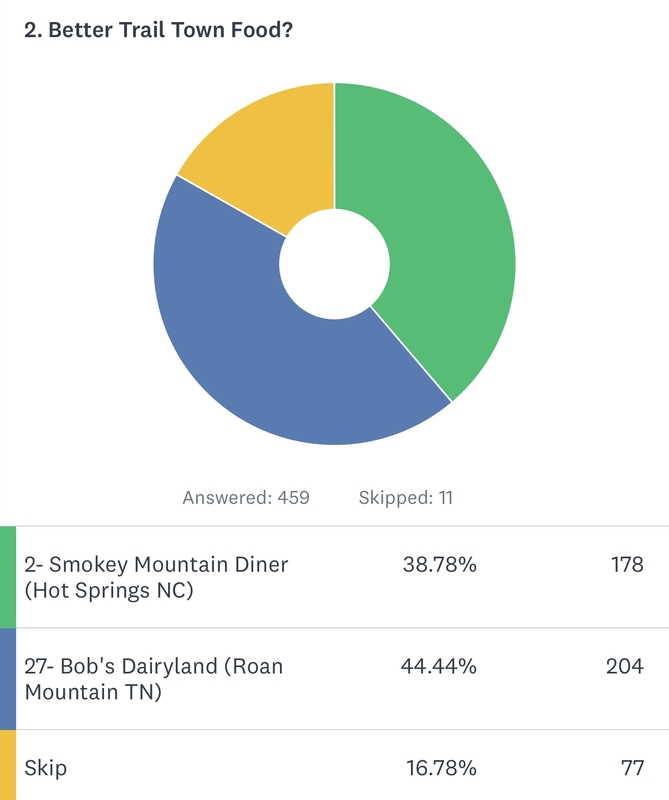 #2 Smoky Mountain Diner was victim to our biggest underdog, #27 Bob’s Dairyland, which won by 26 votes. love the restaurant !! great food. great people. You guys have your winner yet? You announced that the winner would be revealed on Thursday. We are all waiting! Winner? It is now the 14th. Winner winner chicken dinner? It’s been a week….are we waiting for Trail Days to announce the winner?